The TVL Sykkel from Vaude is for everyday bikers and urban riders, the TVL SYKKEL offers the ideal fusion of bike performance with stylish, sleek looks. The high quality, upper material made from hydrophobic nubuck Terracare leather is sustainably manufactured in Germany. Additional toe and heel caps help protect from scuffs and scrapes. 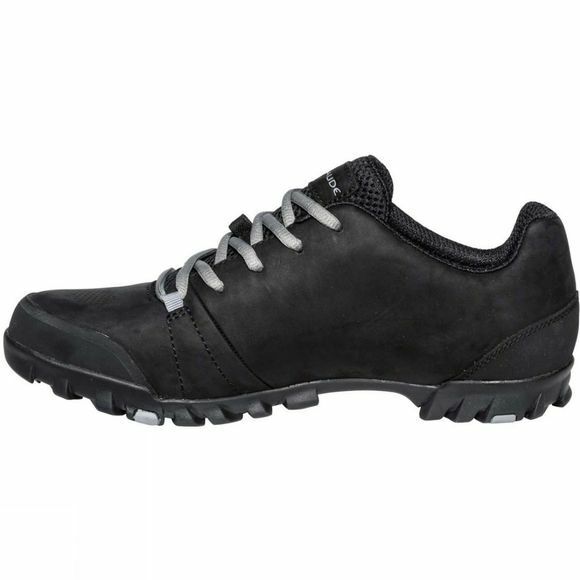 Together with a mesh tongue and ventilation holes in the front, the shoe ensures best micro-climate comfort while riding and walking. An Ortholite insole, reinforced in the pedal area with harder PU foam for better pedal pushing power, offers optimal support and comfort. The innovative SUPtraction R20 outsole made from 20% recycled rubber has a high traction lug profile for outstanding grip in both wet and dry street conditions. Medium stiffness (V-Flow 5) in the sole ensures efficient power transfer to the pedal while also allowing for comfortable walkability. 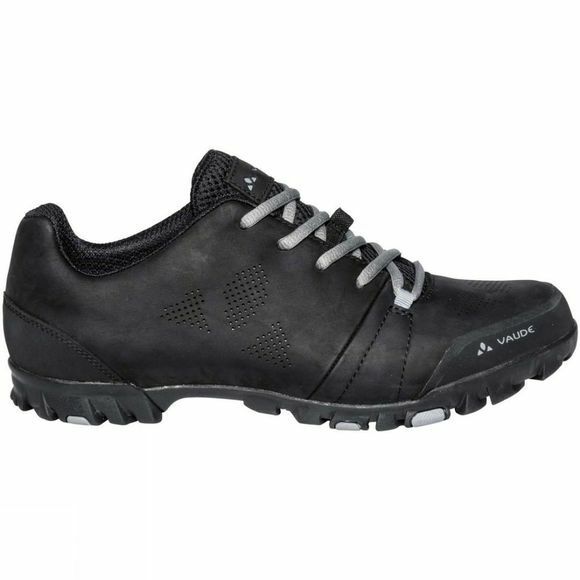 A removable cleat cover makes this shoe compatible with most clipless systems. The Vaude Green Shape label stands for environmentally friendly, functional products made from sustainable materials.